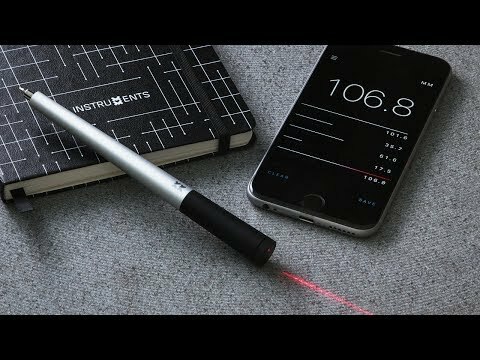 This Bluetooth measuring tool works like a magic wand on curved, straight, or jagged surfaces, giving you the length, width, and depth on your device. Trace to measure—then share and convert units instantly. Use the “blink” option when you’re trying to space items at even intervals. Whether you’re remodeling a whole house, re-carpeting stairs, designing clothes, or hanging pictures evenly, this tool will measure up to the challenge. Dimensions: Dimensioning Tool: 5.7”x 0.55” diameter; Included Notebook: 8.25" x 5.25" x 0.5"